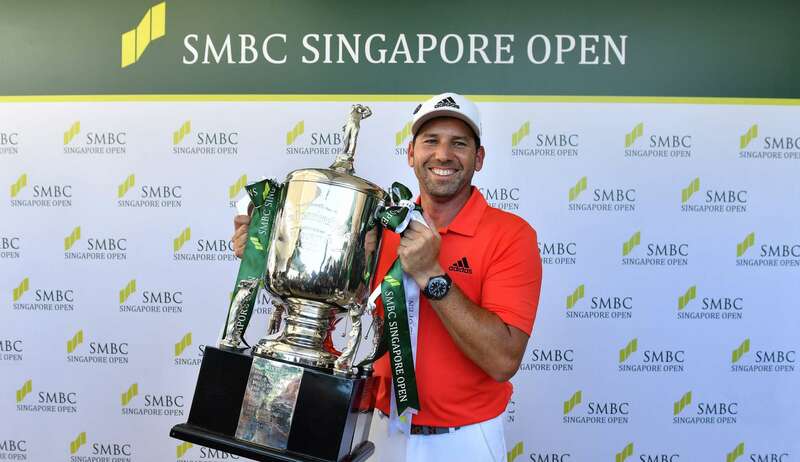 The SMBC Singapore Open trophy is decorated with some famous names and in 2018 one of the most famous was added after Spain’s Sergio Garcia lifted the trophy. 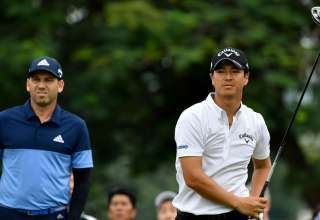 The reigning Masters champion and then world number 10 won by a comfortable five strokes for his sixth victory in Asia. 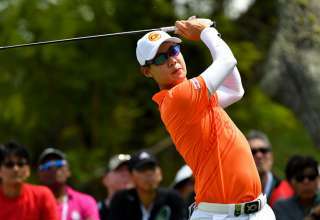 He succeeded Thailand’s Prayad Marksaeng, who received an early birthday present when he lifted his 10th Asian Tour title at the 2017 SMBC Singapore Open. Prayad turned 51 the following week. 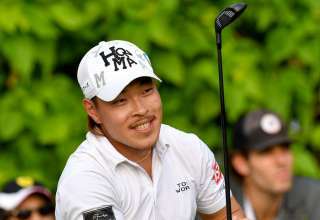 A year earlier Korean Younghan Song upstaged Jordan Spieth from the United States, who at the time was the world number one, to claim the title following a Monday morning finish. 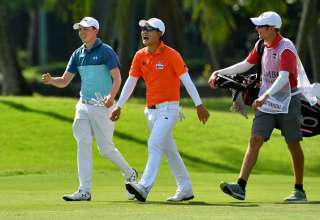 It was the 50th edition of Singapore’s national Open and also marked the first time the event had been played since 2012. The tournament was back on the schedule thanks to a three-year title sponsorship deal with the Sumitomo Mitsui Banking Corporation (SMBC). In 2016, the tournament also became a jointly-sanctioned event between the Asian Tour and the Japan Golf Tour Organisation. From 2009 to 2012 the Asian Tour had jointly-sanctioned it with the European Tour. The year 2012 saw Italian teenager Matteo Manassero triumph after a play-off victory over South Africa’s Louis Oosthuizen. Australia’s Adam Scott has the honour of winning Singapore’s national Open the most with a record three victories. He won back-to-back in 2005 and 2006 and completed a hat-trick of victories in 2010. Two-time Major winner Angel Cabrera of Argentina triumphed in 2007, India’s Jeev Milkha Singh took top spot the following year while Ryder Cup star Ian Poulter from England won in 2009. Spaniard Gonzalo Fernandez-Castano was successful in the 2011 edition by beating Juvic Pagunsan of the Philippines in a sudden-death play-off – which like 2016 also finished on Monday. Other notable winners of the event include 1998 champion Shaun Micheel from the United States, who won the US PGA Championship in 2003. Australian Peter Fowler was victorious in 1987, Greg Turner from New Zealand won in 1986 while one of Chinese Taipei’s most famous golfing sons, “TC” Chen, claimed top spot in 1985. Five players have tasted victory more than once. As well as Scott and Arda the others are Phillips and Chinese Taipei’s Lu Chien-soon and Hsieh Yung-yo. In its formative years and with a list of past champions that dates back to 1961, the Singapore Open earned its place in the history books as a tournament that helped build the foundations for the development of tournament golf in Asia. The Lion City’s national Open was part of Asia’s very first professional golf circuit, which was made up of a handful of tournaments in Hong Kong, the Philippines, Malaysia and Japan. Australian Frank Phillips – a two-time Australian Open champion – won the inaugural Singapore Open in 1961 and started the ball rolling for a succession of victories by overseas players. South African Brian Wilkes triumphed the following year and was followed by countryman Alan Brookes before Australians Ted Ball and Phillips and Ross Newdick of New Zealand were victorious in the ensuing years. It was Filipino Ben Arda who helped turn the tide in 1967 when he became the first Asian winner. He won again in 1973 and in fact it was not until Terry Gale’s success in 1978 that another non-Asian player claimed the title.